Not all knowledge can be gained in a classroom or from a book. Sometimes kids need to roll up their sleeves and get their hands dirty! Whoever wrote, “Summertime and the living is easy,” never had to keep a houseful of youngsters engaged and entertained after school lets out. Fortunately, Little Rock is chock-full of great hands-on day camps to serve virtually every interest. The following is a sample of what’s out there to hold the kids’ attention and burn off some energy. The mission of the award-winning Museum of Discovery is to open children’s minds, which it does daily through highly-interactive exhibits. The slate of summertime offerings is no different. Kids love to tinker, learn, discover and get messy at Museum of Discovery's special summer programming. Summer offerings include Wiggle Worms Wednesday, from 9 a.m. to noon, a science primer for very young children, each with a different theme such as dinosaurs and space monkeys. Starting at age 6, children can choose from weeklong Discovery Camps that run 8 a.m. to 5 p.m. each day. 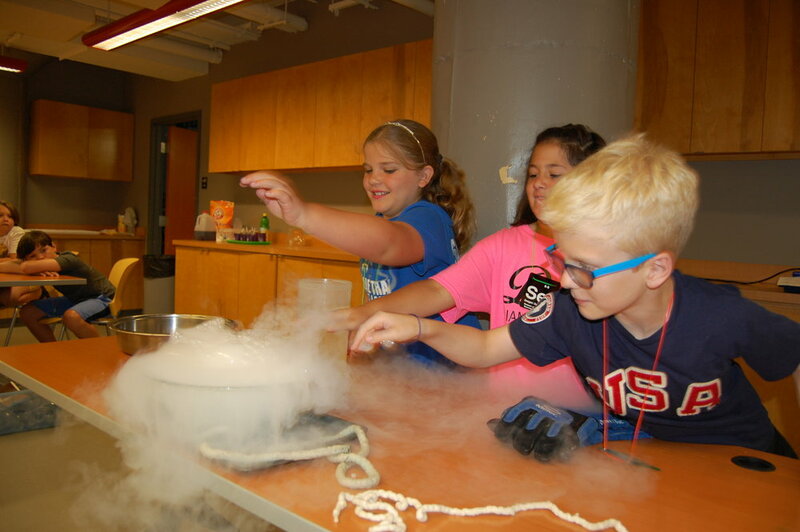 These camps wrap science lessons in fun themes, including Minecraft, Legos and Harry Potter. This year, there’s also an engineering camp that not only shows how to construct something, but how demolition experts tear it down. And Createch provides campers with the basics of telling stories through stop-animation, green screens, drones and other fun aspects of filmmaking. The Museum of Discovery is a great place where families can drop in anytime. Among the attractions is a new exhibit called “Diamonds,” with a focus on Arkansas’s own Crater of Diamonds. The Room to Grow area, targeting children under 6, has also undergone a major renovation catering to the younger set. 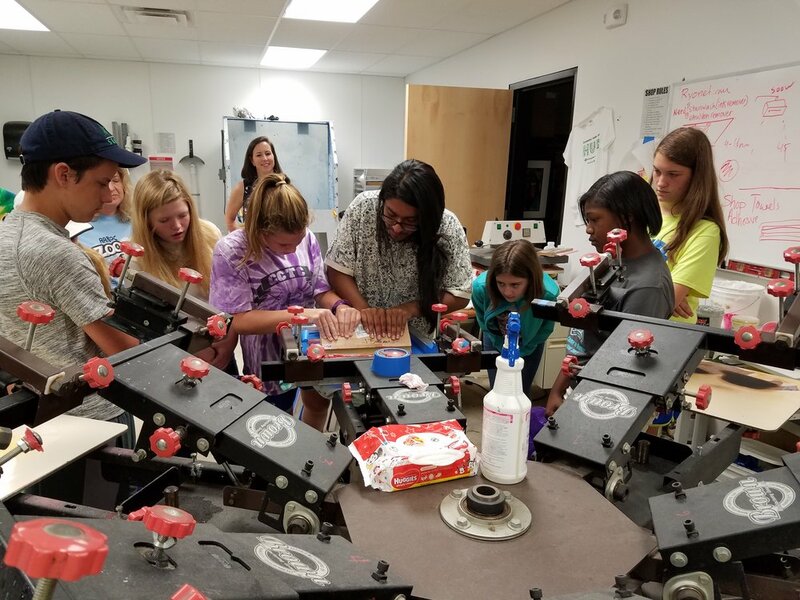 The North Little Rock maker space challenges the ingenuity of youngsters all year long, but really turns things up in the summertime with its Maker Faire, Saturday May 12, from 10 a.m. to 4 p.m., on the North Shore Riverwalk. This free event draws thousands to browse makers’ products and experience hands-on activities, said Errin Stanger, deputy director. Roll up your sleeves and dive into hands-on learning at the Arkansas Regional Innovation Hub. Explore clay building, screen printing, 3D printing, robotics and more at The Hub! Maker Faire is broken down into different worlds, each featuring its own slate of activities and creators. Flying, art, tech and gaming are just a few of the themes these worlds offer the roughly 3,500 guests it attracts. The Innovation Hub also sponsors a number of summer camps for kids, in both its maker and artistic programs. On the make side, video game design and robotics are two of the most popular camps, while on the art side, screen printing and ceramics are the camps in highest demand. Also popular is a six-week program called Creative Art Teen catering to kids ages 14 to 17, providing formal instruction in the morning and staff-supported free creative time in the afternoon. For youngsters whose tastes run to dance, Ballet Arkansas has several options to keep kids on their toes. 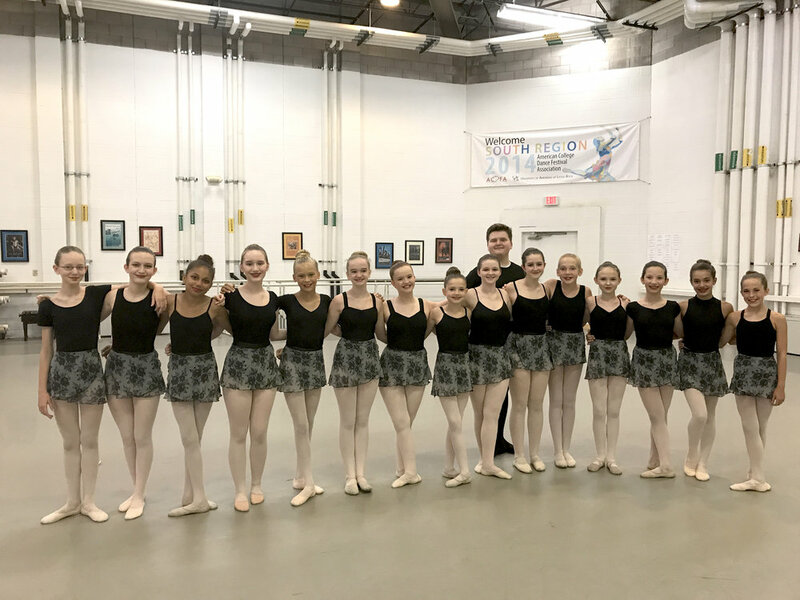 In addition to its long-running summer intensive camp July 31 to August 3 for dancers ages 11 to 21, the organization has also rolled out new programs this year. Movement is an essential part of a child's development. Ballet Arkansas makes it fun with Princess Camp for younger dancers, as well as Summer and Junior Intensive programs. Another brand-new, half-day summer camp is for ages 5 to 8, slated from June 11 to 15. Unlike the regular intensive, which requires an audition, junior intensive and Princess camps are available simply by registering. Both intensives are held at UALR, while the Princess Camp is held at Ballet Arkansas. Late last month, the Arkansas Repertory Theatre announced it’s closing its doors, however the 2018 summer programs are scheduled to continue. 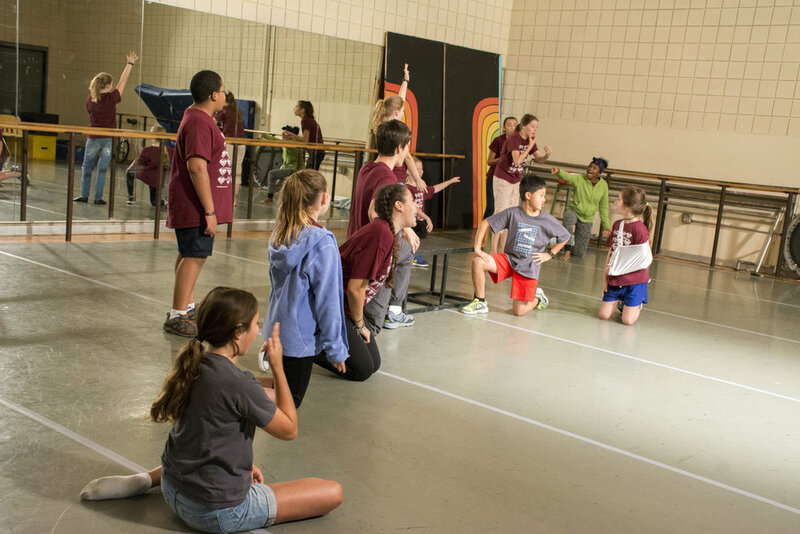 The Rep’s summer theatre program serves children across all grade levels, from rising Kindergartners to rising high school seniors, in a series of camps called sessions. Anna Kimmell, education director, said the curriculum offers something for everyone. The sessions are non-audition, first-come, first-served which makes them a very popular summertime option for kids with an interest in the stage. Scholarships are available to help families afford the cost of the experience. 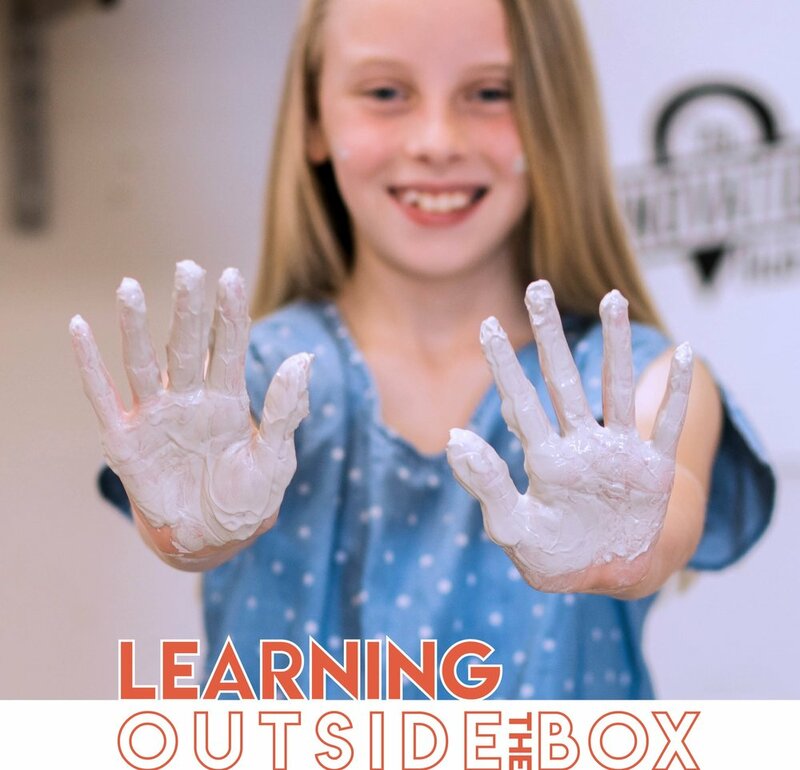 There’s not enough space to detail the long roster of hands-on art education available at the Arkansas Arts Center, both in the summertime and all year around. Miranda Young, youth and community engagement manager, said the variety of educational programming reaches a wide cross-section of the community. Kids don't have to choose between art and theater at the Arkansas Arts Center's summer programming. Find just they class they are looking for at the Museum School. That yearlong reading program, a joint effort with Central Arkansas Library System, combines literary works with representative art in the gallery. It’s one example of how the Arts Center connects the dots for its youngest consumers. The Arts Center offers a catalogue of classes for young people in visual and theatre arts on a variety of topics through the Museum School. Summer camp themes this year include working in clay, underwater worlds, magical and mythical creatures and Studio Zoo, which focuses on capturing animals in art. Do you have a budding celebrity chef? If so, check out the fun summer classes offered at UA-Pulaski Tech College of Culinary Arts! Classes fill up fast so don't wait. The Youth Chefs Culinary Camp program at UA-Pulaski Tech’s College of Culinary Arts and Hospitality Management may just be the hardest camp in Central Arkansas to get into and not because of any high prerequisites or exacting entrance exam. The 14 camps are just that popular, routinely selling out practically as soon as they are open. The 14 half-day camps focus on three levels of culinary skills and baking for 10- to 17-year-olds. Each class accommodates about 25 kids and culminates with a camper-prepared buffet for family and invited guests.